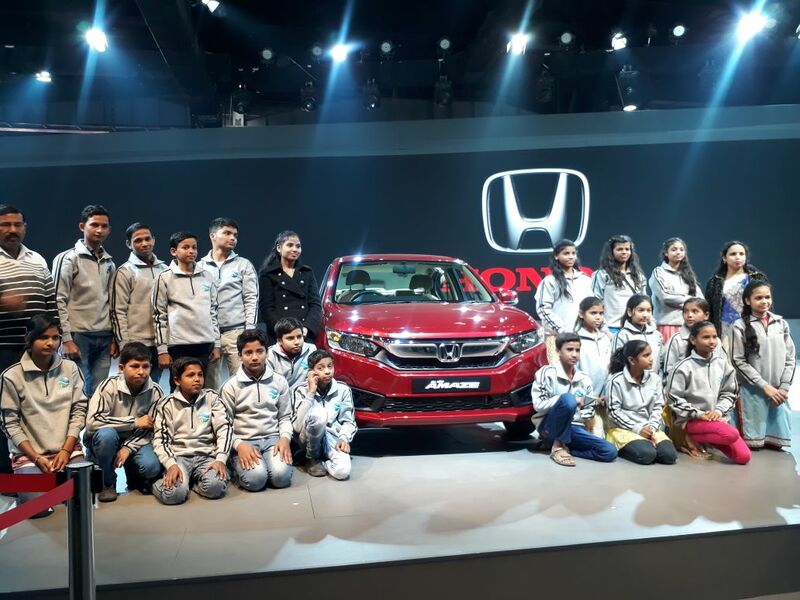 (10/02/22018) Greater Noida : India’s premium car category Honda Cars India Limited (HCIL) invited children from underprivileged sections for a visit to their pavillion in Auto expo 2018. The tour started with the moderator sharing details of various exhibited products. Thereafter Honda’s unique self balancing personal vehicle UNI CUB was displayed. 25 children of Deepalaya, a Delhi NCR-based NGO working for betterment of children and society, were given an opportunity to spend the day at the Honda Pavilion among innovative mobility concepts and Honda’s line-up of cars. The tour was dubbed the “Power of Dreams” and gave the young visitors a chance to see the stylish, advanced and technology-based products. The tour started with the firsthand experience of the showcased products – the all-new Honda Amaze, Honda CR-V and Honda Civic – followed by a unique show on the Honda’s unique self-balancing personal mobility device – Honda UNI-CUB β (beta). The children were quite thrilled with the Honda’s original balance control technology and an omni-directional driving wheel system in the UNI-CUB β (beta). The young guests hugely enjoyed the HCIL show and exchanged notes about how one day they will fulfill their dream of driving their favorite car. #AutoExpo2018: Taapsee Pannu to unveil Honda Bikes new road safety campaign this afternoon!